With such a busy time I had in past few weeks, I was unable to do any special decorations. To my rescue come HomeBase and the Rustic Retreat beautiful collection! 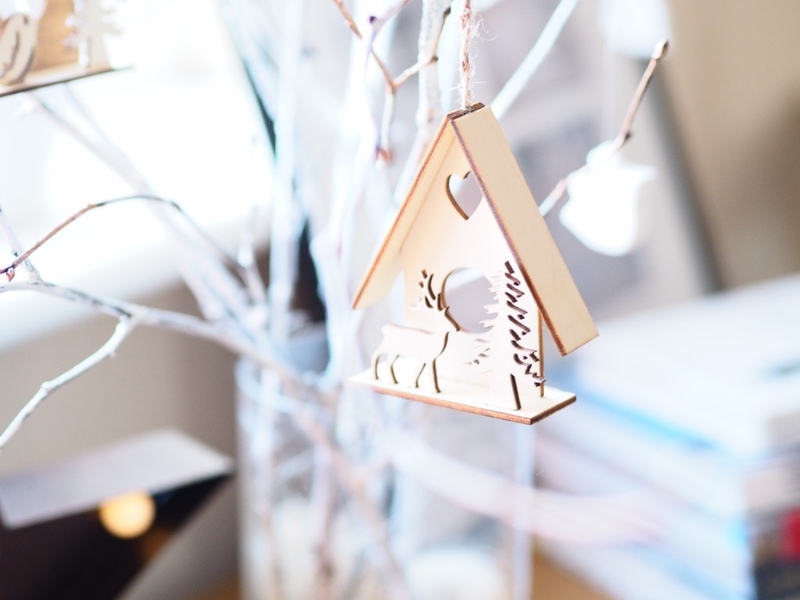 I have ordered online very wintery bedding and some beautiful rustic decorations. This is not only for christmas as you can easily do it after xmas to keep the spirit for longer! 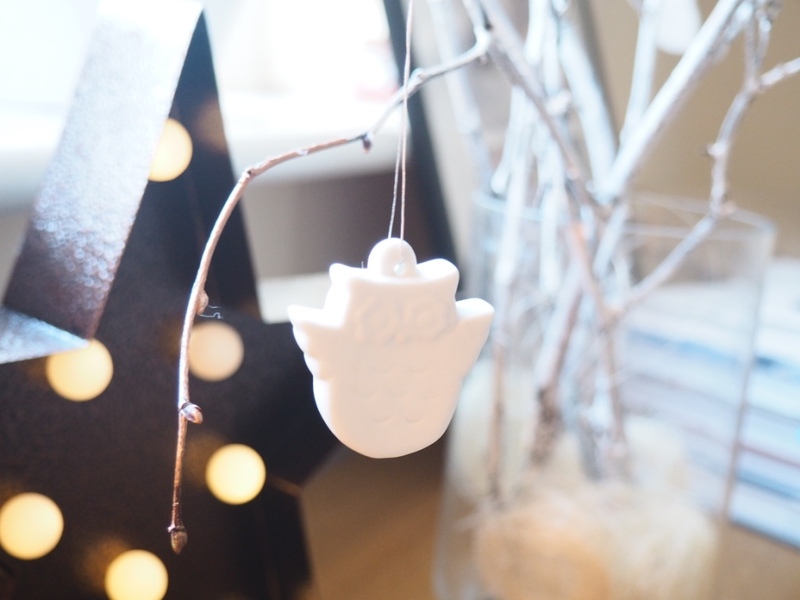 The decorations easily can be displayed as just decoration to your room, not just Christmas decoration! 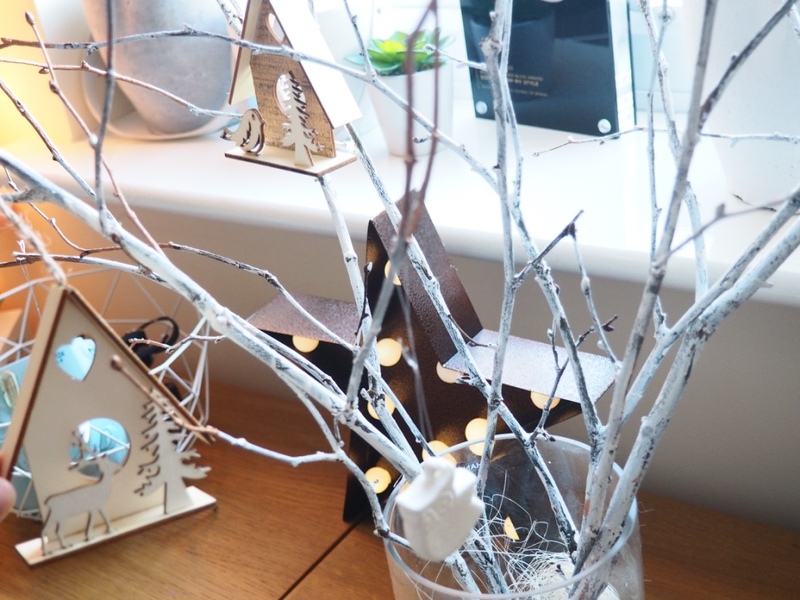 If you have read my previous post about my Christmas tree, you would know that, my cats broke my festive tree so I had to chase a replacement! Read here the story. The bedding is stunning. I totally love the cotton brush soft and cozy feel! 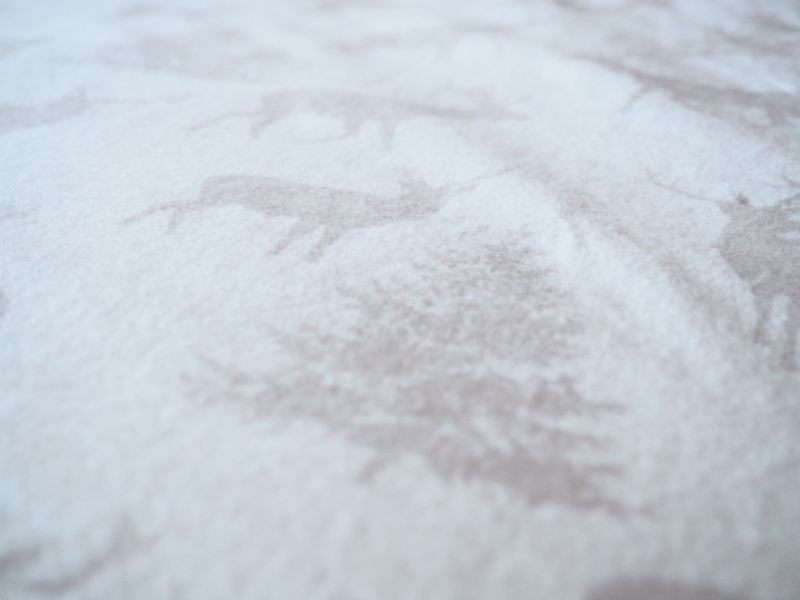 The design is very wintery with deers and trees. What is good about it also that is warmer than typical bedding, so I am now saving money on electricity as I don’t need to put the radiators on! Winner! Next, I have chosen these very cute owl’s. There were also beautifully presented and secured in package as well. 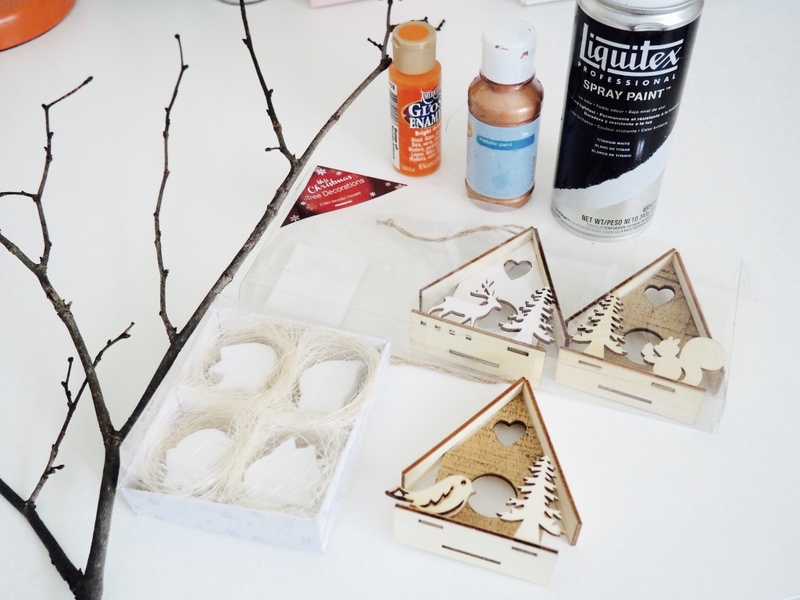 I have also chosen laser cut wooden houses with cute animals. 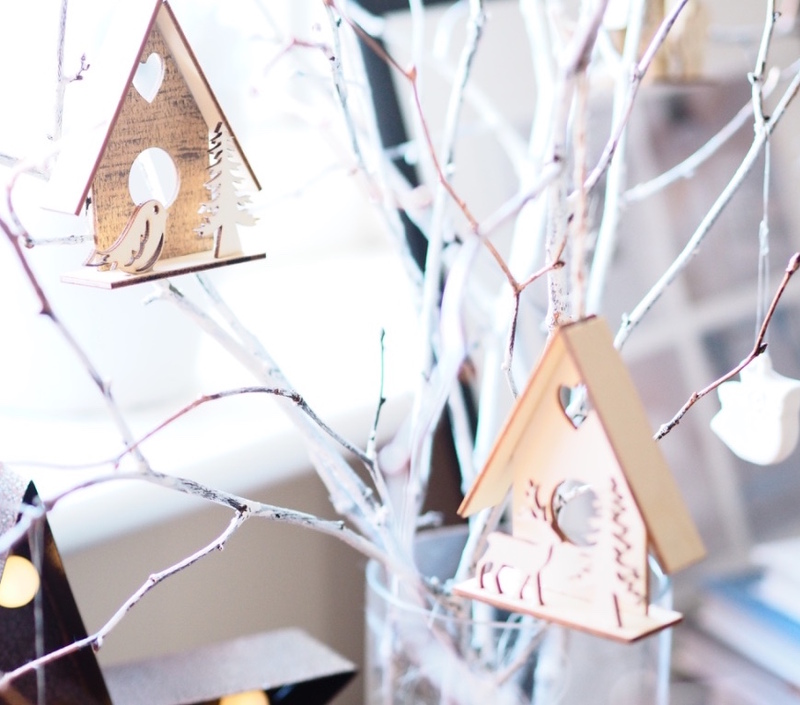 These are very rustic and so stylish! Honestly, the rustic retreat is seriously beautiful collection! It was hard choice to make the decision to only stick to these. So, once I had picked my decorations I was excited like a child to receive the package! In a mean time I asked my friend to pick some tree twigs for me as he leaves near forrest. He picked me pretty good pieces, I must say! 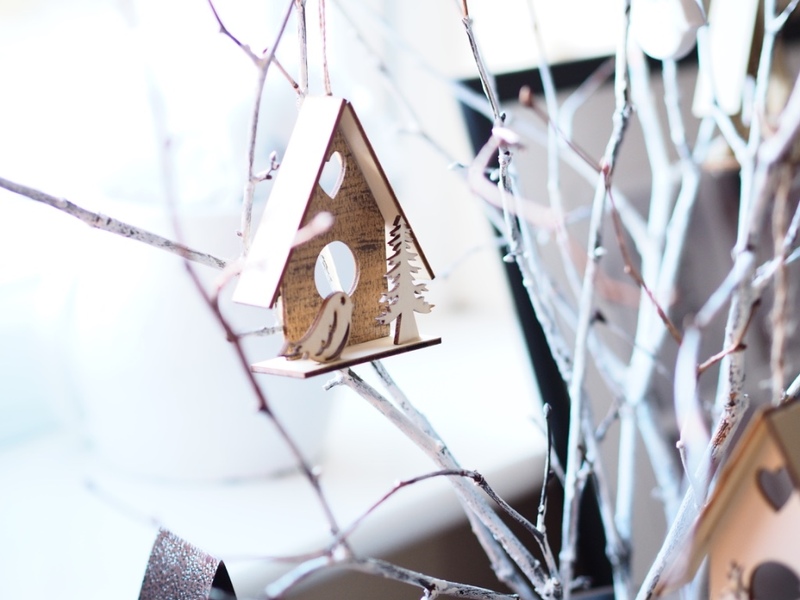 Here, today I want to show you how easy and fast you can do last minute white rustic tree twigs DIY with copper ends. It takes literally 15min to do that and the effect is so beautiful! 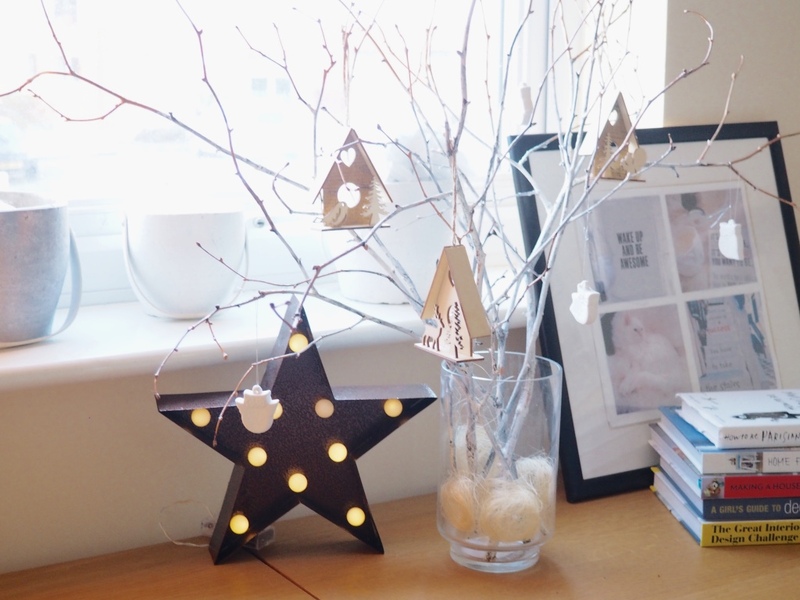 This is perfect option for those who are late with cheap topamax online Xmas decorations and want to do something really quick and cost effective! 1. 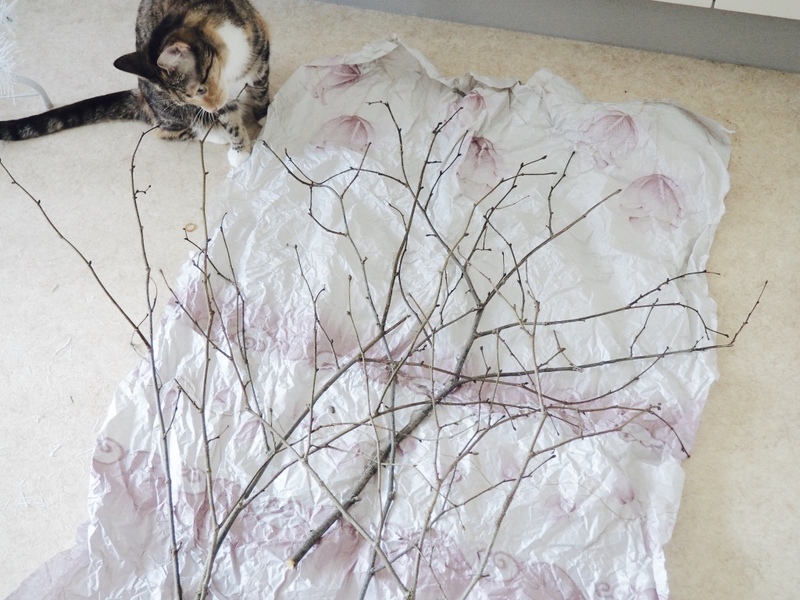 First, you need to pick some nice twigs of course. 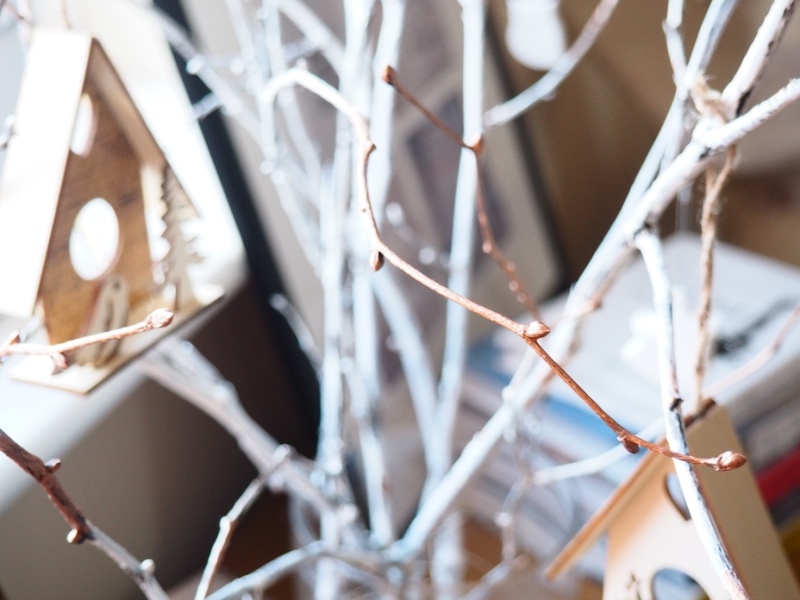 You want to the ones that are multiple so you have space to hang your decorations but also it looks fuller. 2. I already had copper paint and white acrylic paints, but you may want to chose spray paint instead (faster) as this would literally take few seconds, although in apartment block make sure you open all windows and cover your mouth. Remove any animals as well. 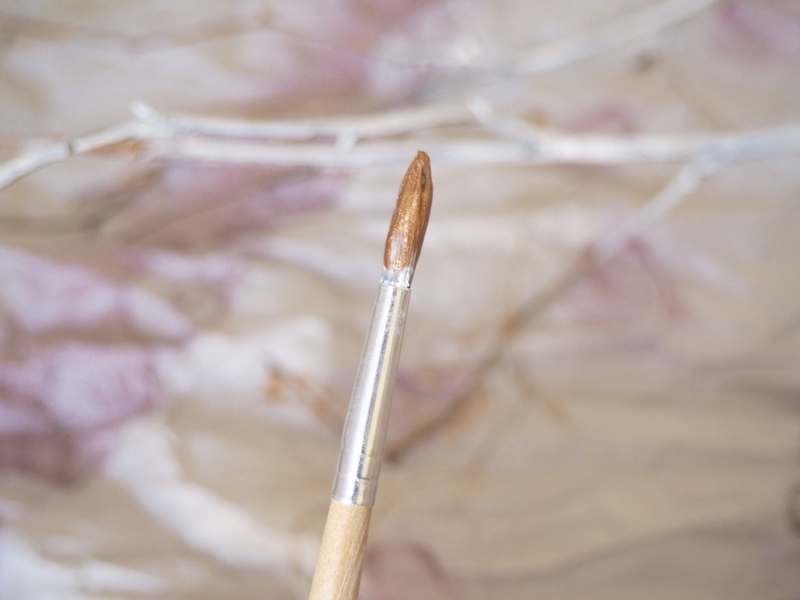 With acrylic paint, it may little longer but is less hazardous and the dry time is shorter as my twigs dried in literally 1h. 3. 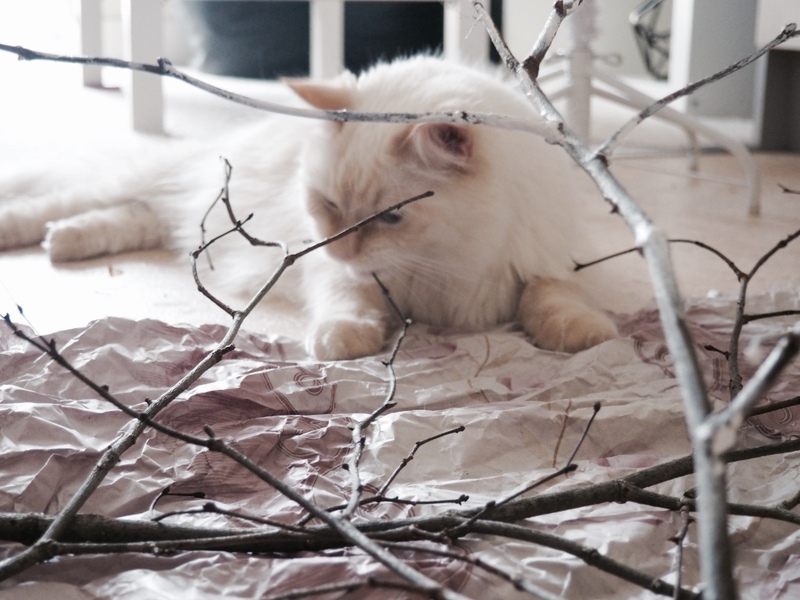 Make sure you have paper big enough so you won’t cover the floor in paint, (Like I did) or keep you white cat away from copper paint. Mine didn’t so we needed up giving him a bath. Now he hates me for another few days! silly cat! 4. I have covered mine in white paint and then created dip end effect with copper paint. I think it added a little sophistications and edge to it. I totally love it! You can use any colours and create maybe a little more colourful effect? 5. Last, hang your decorations! Done! You see? I told you was this super easy! This types of DIY I love the most. They so easy to make, cost effective and looking amazing! I totally love it! I think it brought really rustic theme to the bedroom! 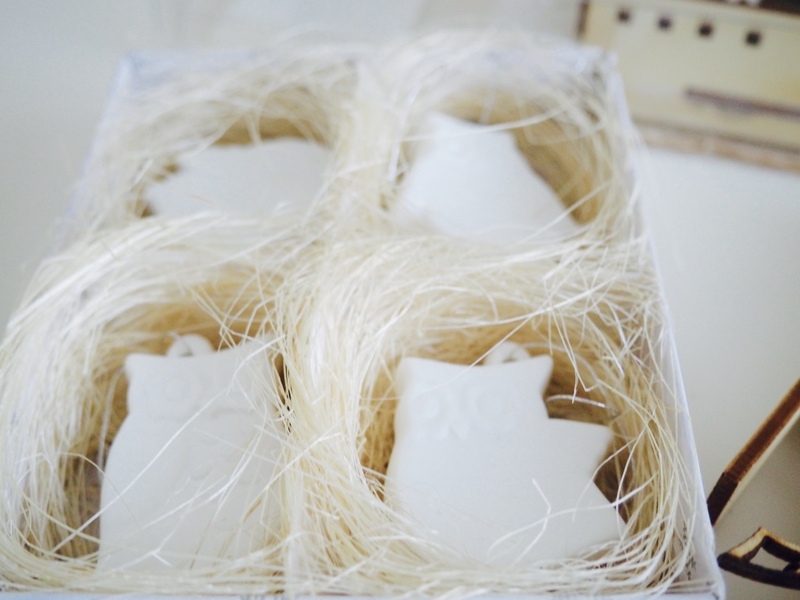 The owls and little houses with all the detail looks absolutely beautiful! I know, I keep them for next year to display it! I love my festive house now. 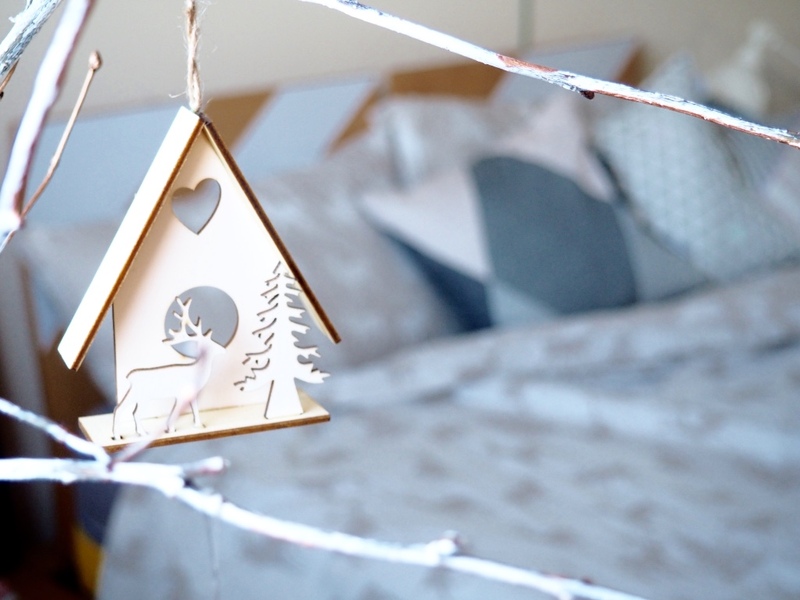 The bedding and the decoration really brought me feeling of winter. 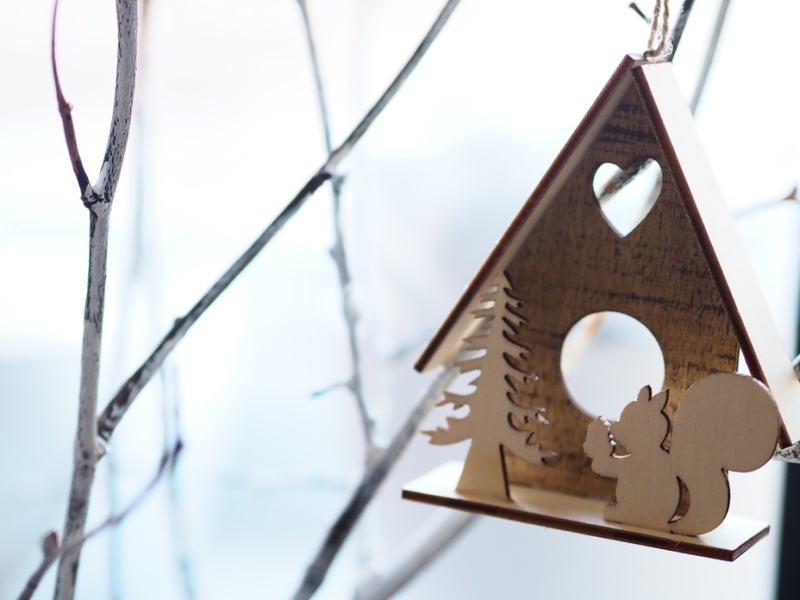 This is not only christmas as you can easily keep these for longer! This is a great idea. I will be using this idea for next Christmas. Anna, these are so beautiful! I love them so much! omg i wish i'd seen this before christmas, they are SO cute! 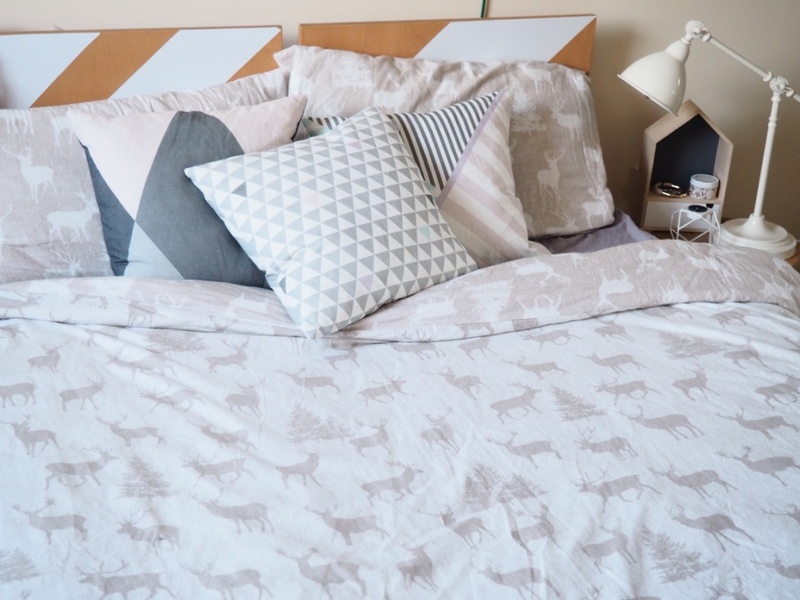 as for the winter bedding, i had red and white this year and i swear it was much cosier!! 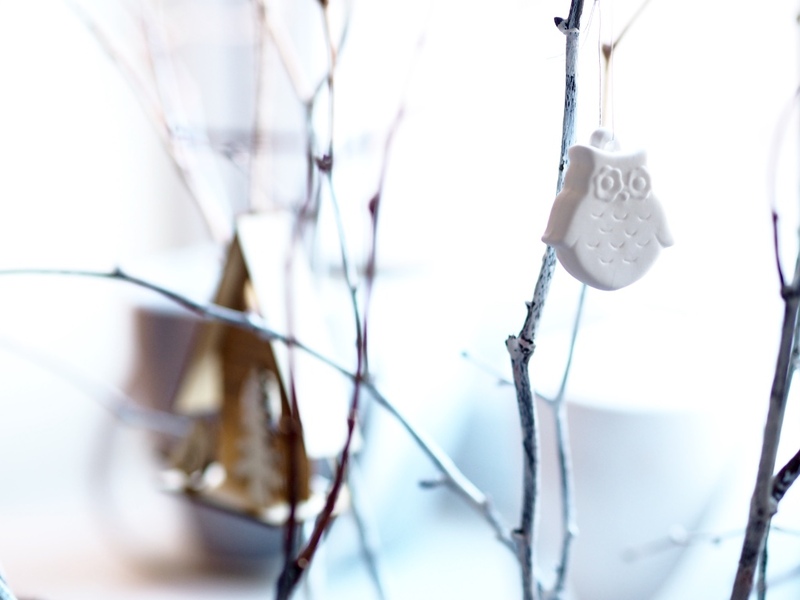 These decorations are so chic and pretty too. They give a xmassy feel although they are not traditional.